I showed this plush in my video about Jabba the Hutt plushes that I made a while ago, but I realized that I never posted about it on the site. 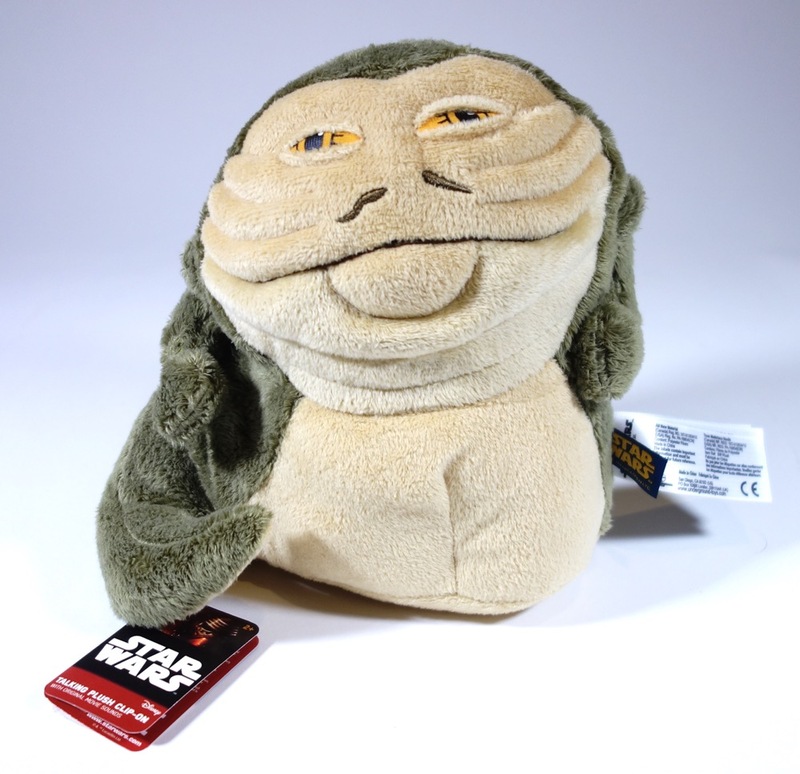 This is a smaller version of the large Jabba plush from Underground Toys that I posted about last year. I originally got one of those from the UK, since it seemed like they were only available there. But just a couple of days ago I found one at my local Walmart, so they are finally starting to become available in the US. The version I got at Walmart is basically identical to the one from the UK (shown above) with the exception that it has a tag attached instead of using a cardboard tray. As you can see, it’s quite a bit smaller than the original plush — the body in particular has been drastically reduced — but otherwise it’s very similar. The plush material is the same and the talking feature uses the same voice with lines from the Special Edition of A New Hope, interestingly enough. ← Upcoming: Rancor, Oola and Jedi Luke 3-Pack of Funko POP! Figures?